IT possessed all the hallmarks of a make-or-break occasion – and this had nothing to do with yesterday’s crunch Cabinet meeting at Downing Street to discuss the way forward for Brexit. Last night’s showdown did have everything to do with providing a kiss of life to Middlesbrough’s ailing Championship campaign. By the final whistle it was kissing goodbye to their play-off hopes that Boro supporters were starting to countenance with no love lost for manager Tony Pulis either. 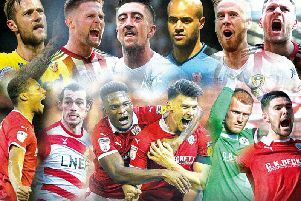 A sense of agitation and dismay has hung over the Riverside Stadium like a thick sea fret coming in off the Tees in recent times and last night’s events intensified the deepening gloom as Bristol City propelled themselves into the play-off spots at the expense of the hosts. 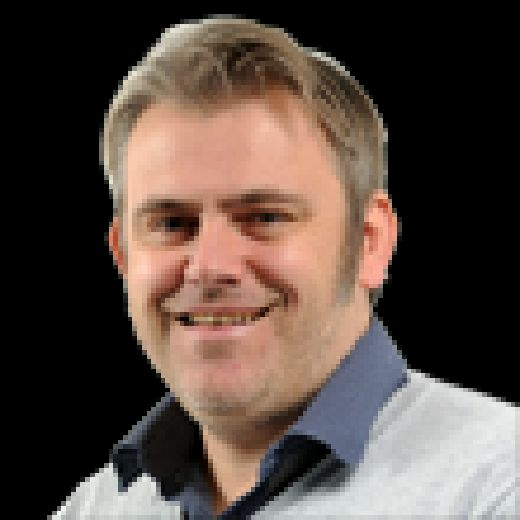 These are fraught times for Boro, left to pick the bones out of a fifth successive Championship loss for the first time since February 2013 with the frustration with Pulis being manifest. Running out of friends among some disaffected Boro supporters, the veteran manager also finds himself running out of luck at the season’s critical juncture. Fresh from their side’s weekend victory at Bramall Lane, those Bristol fans present in Yorkshire again enjoyed themselves, with sections of the home support joining in the songs of derision aimed towards Pulis, a former manager at Ashton Gate. Misfiring Boro’s lack of cutting edge in front of goal has been an omnipresent refrain from Pulis all season and the Welshman was again left to sing from the same old hymnsheet on an occasion when the hosts’ failure to find the net was damning. Chances were passed up, particularly in the first half, with fortune plainly not on Boro’s side either as the visitors rode their luck before pilfering the only goal of the game on 31 minutes through Adam Webster. Boro’s forward deficiencies have been well documented, but their defensive record – after being so iron-clad for most of this season – has also been fitful of late and their concession was a wretched one. Webster was left unchallenged to head in Jay Da Silva’s corner, a goal that would have infuriated Pulis as much as his side’s final-third failings. But ultimately a haul of 19 goals in 20 home games – only the bottom two of Bolton and Ipswich have scored fewer – tells its own story and a lack of breaks on the night cannot make up for that fact. A threadbare return of three home league wins in 16 matches is even more reprehensible. Webster was left to play the decisive hand as Boro fluffed theirs. Before Webster’s strike a close-range effort from Jonny Howson had been diverted onto the woodwork by Bailey Wright with former Boro loanee Tomas Kalas producing an amazing block to divert Ashley Fletcher’s follow-up. It was symptomatic of Boro’s luckless recent form, although some other misses before Webster’s opener were open to censure. George Saville had his head in his hands after firing over with the goal at his mercy from Ryan Shotton’s cutback and Howson’s first touch let him down as he bore down on goal following Britt Assombalonga’s slick pass. Boro’s top-scorer was also denied by a clearance close to the line by Wright following his goal-bound header after a classy cross from Stewart Downing. In a bid for inspiration and to cultivate a winning formula, Boro went back to the future by handing a first league start since December 29 to Downing, fresh from waiving the right for a one-year contract extension if he started another league game. His pace and energy levels may not be quite what they once were, but his ability to drop the shoulder to claim half a yard on the flanks to deliver crosses of quality remains undiminished. Middlesbrough's Ashley Fletcher is denied in an aerial duel by Bristol City goalkeeper Max O'Leary in Tuesday night's Championship game (Picture: Martin Rickett/PA Wire). While Downing’s radar was fully operational, Boro’s finishing was lamentable. At the other end pacey City threatened on the counter, more so after their opener when Boro pushed for a leveller. Josh Brownhill and weekend hat-trick hero Andreas Weimann went close to second goals in an open spectacle, but the main first-half narrative continued on the restart. A smart free-kick routine ended in Assombalonga firing a low shot against a post as City’s goal continued to lead a charmed life. Fletcher and Howson went close, with the Robins spurning a chance to seal it when Marlon Pack fired wide. Middlesbrough: Randolph; Shotton (Wing 52), Fry, Flint, Friend; Howson, Mikel, Saville (Besic 83), Downing (Hugill 83), Assombalonga, Fletcher. Unused substitutes: Konstantopoulos, Ayala, Clayton, Tavernier. Bristol City: O’Leary; Kalas, Wright, Webster; Hunt, Brownhill, Pack, Da Silva; Paterson (Kelly 76), Weimann (Smith 45, Baker 89), Diedhiou. Unused substitutes: Pisano, Taylor, Eliasson, Palmer.